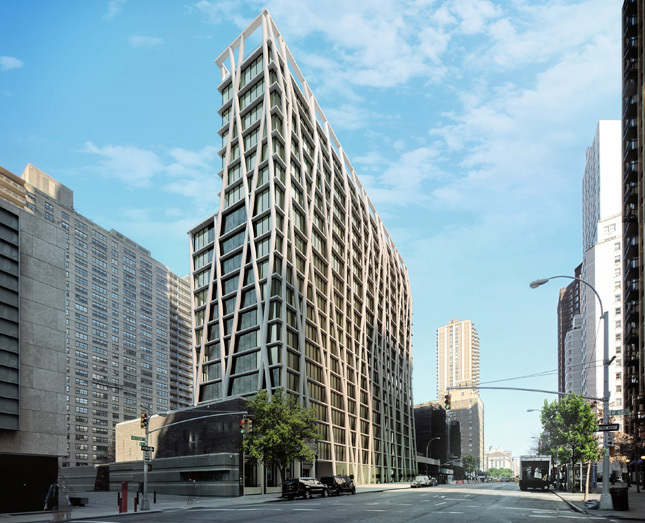 Equity Residential introduces the newest New York development, 170 Amsterdam â€“ a 20-story, luxury rental building situated in the Upper West Side neighborhood. These studio, one-, two- and three-bedroom apartments boast floor-to-ceiling windows open to gorgeous city views, beautiful quartz stone counters and stainless steel appliances. 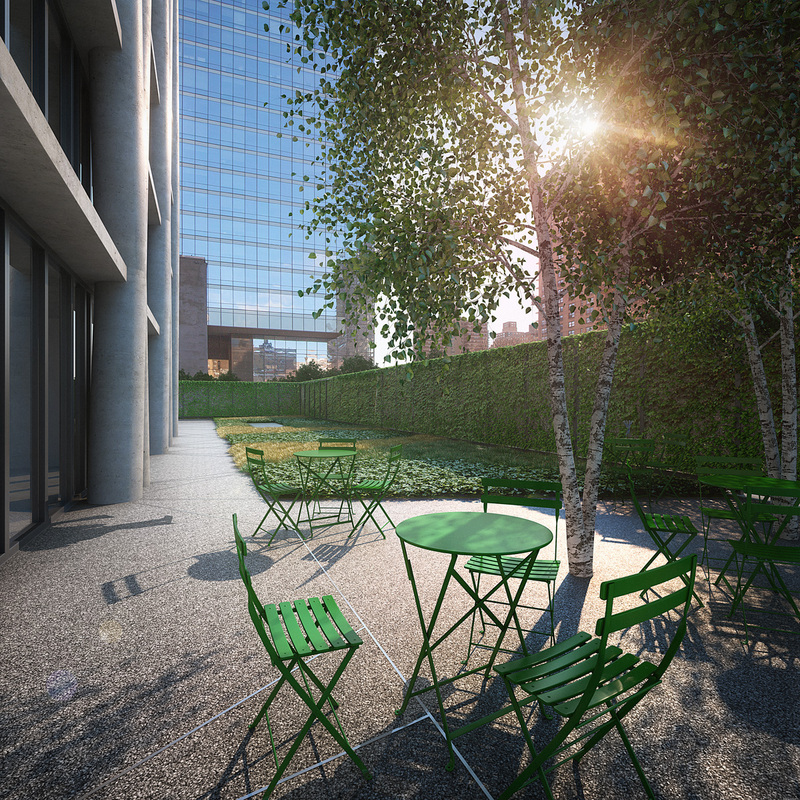 Residents will also have access to 24/7 concierge service, a rooftop terrace, a lobby lounge overlooking a private garden, fitness area, yoga room, private dining room, and a children’s playroom. Situated in a vibrant neighborhood, the world is our oyster! Weâ€™re near transportation, shops, restaurants and areas of interest like the Lincoln Center, Carnegie Hall, Julliard School of Music and the Metropolitan Museum of Art. 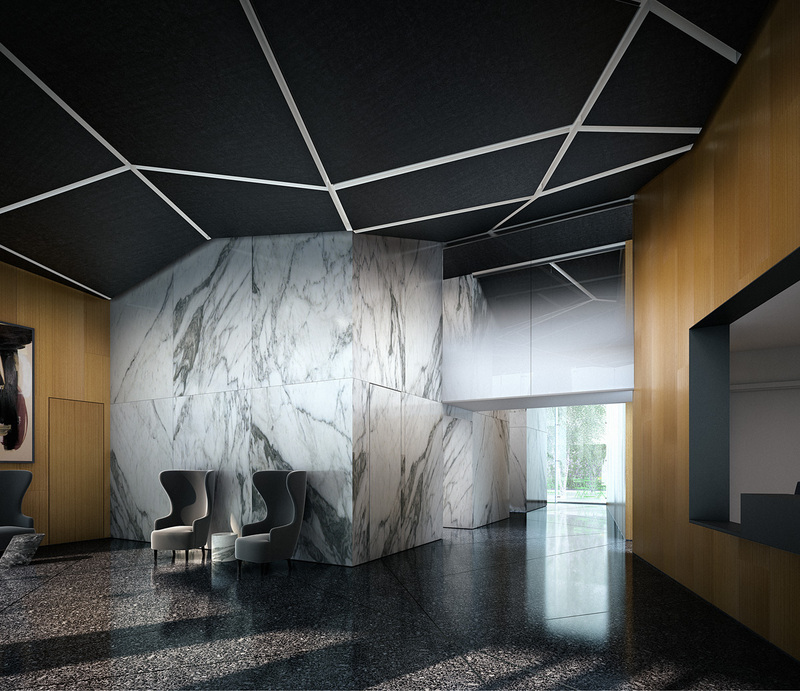 With all the features and amenities 170 Amsterdam offer, the most exciting and distinguishing element of this property is itâ€™s exoskeletal structure – thereâ€™s no other residential property like this in New York! Having an exoskeletal structure on this property means that the columns are on the exterior of the building instead of it being traditionally inside the apartments. This affords more open space in each of the homes and the feeling of being supported by branches of a tree. For many of us, the circular intertwined columns give the building a natural, organic feel. Like branches of a giant tree. The feeling you get inside the apartment is one of weightlessness, nested and protected by the building’s supporting “branches”. 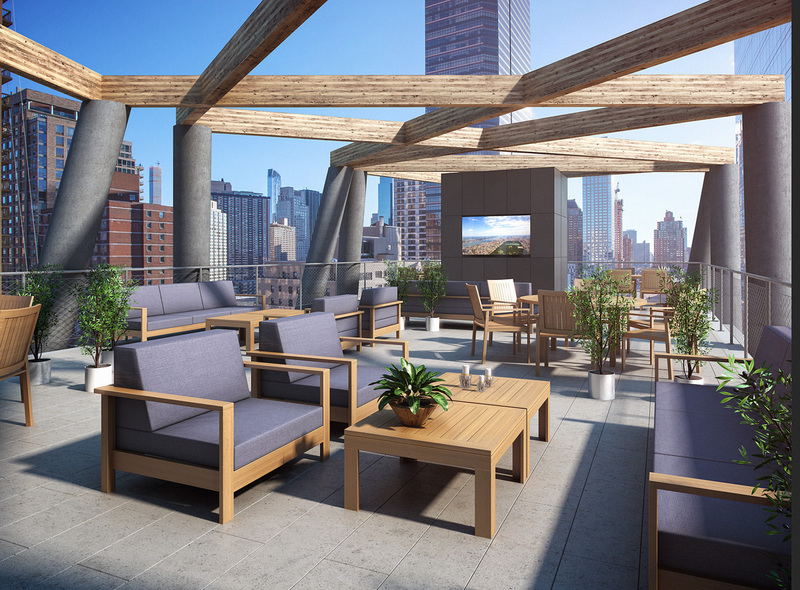 This nature/outdoor theme is further supported by two outdoor amenity areas, wood accents throughout, floor-to-ceiling windows, skylights, and LEED certification. The concept of “tree” and “nature” translates this glass and concrete structure into something familiar, natural and welcome in this family neighborhood. 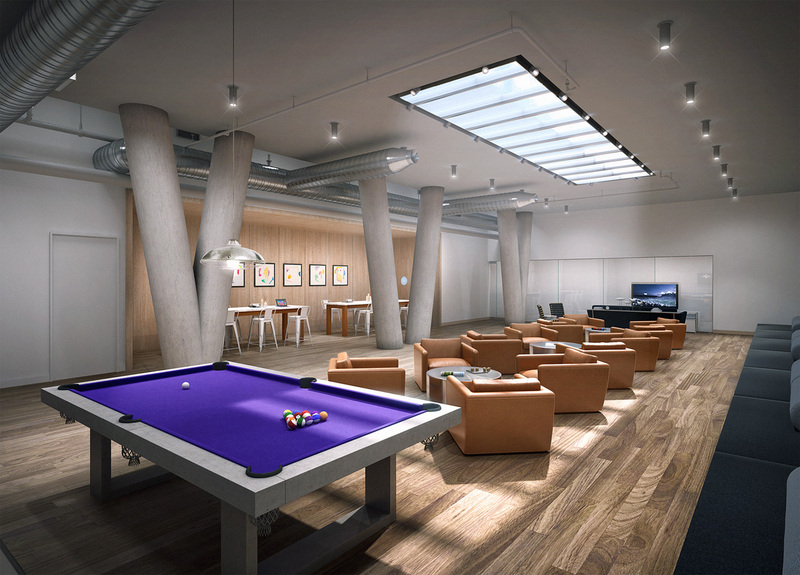 What do you think of the latest addition to New Yorkâ€™s Equity Residential family? VisitÂ www.equityapartments.comÂ for more information about 170 Amsterdam and watchÂ blog.equityapartments.com for moreÂ about our exciting new developments. Kristine is a Graphic Designer for Equity Residential. The inquiry email address keeps saying undeliverable. Great article. When will this property be accepting applications? Thanks Ali! We anticipate availability in April and will happily put you on our priority wait list if you submit your contact details to 170Amsterdam@eqr.com. @Jake I’m sorry you’re having a hard time. Please try contacting us again at 170Amsterdam@eqr.com and let me know if you are still encountering this issue. Thank you for your inquiry! What is your cross street? Are you right near the former Reebock now Equinox club?